This lovely faux leather purse is embroidered with rows of little hearts in complementary colours. A faux leather rectangular purse in a sophisticated shade of taupe-grey is closed with a silver zip and features sweet embroidered hearts. 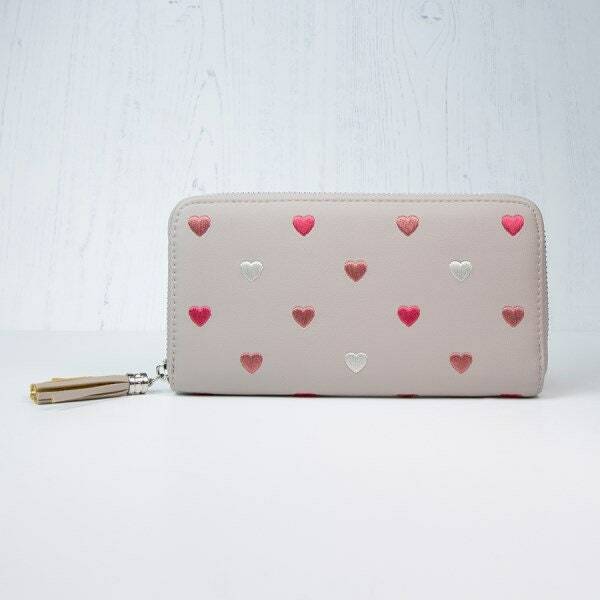 The hearts in berry pink, silver-grey and dusky pink contrast beautifully with the neutral purse and the zip is finished with a matching taupe-grey faux leather tassel. 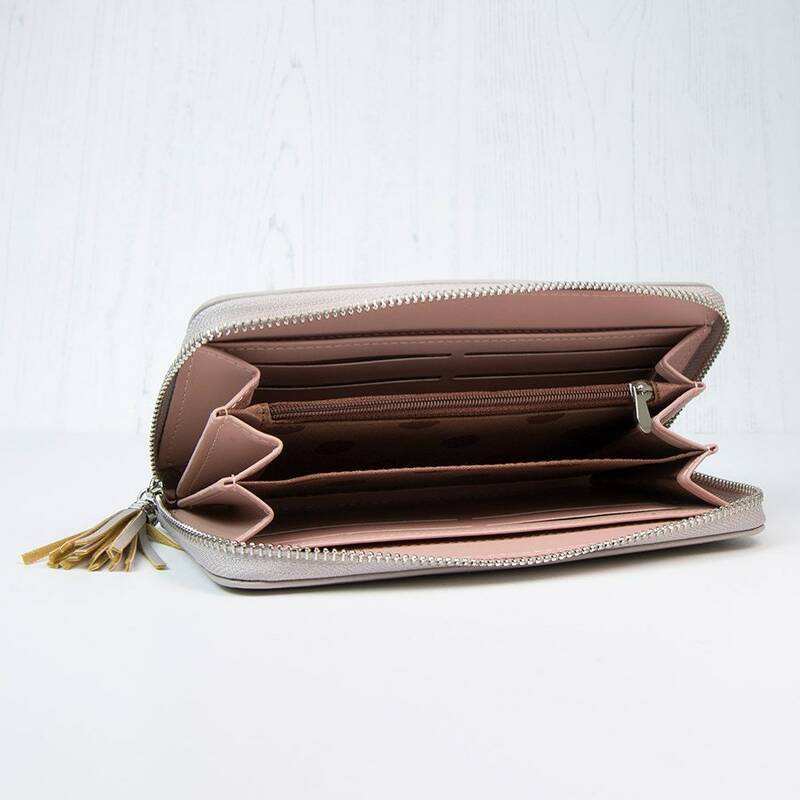 The interior has a contrasting pale pink lining, a zipped compartment and space for payment cards, ID, coins and bank notes.